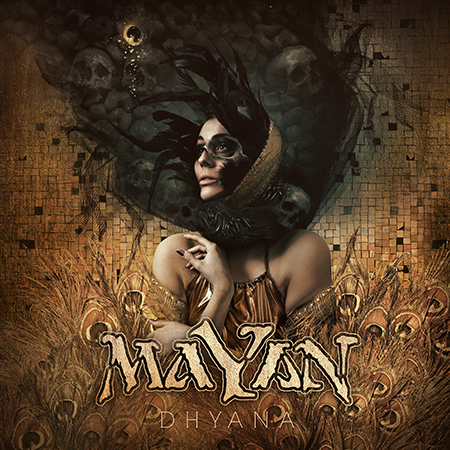 MaYaN was conceived early 2010 by versatile musician and Epica mastermind Mark Jansen and old friend, ex-After Forever keyboardist Jack Driessen to write an album in the style they always really wanted. Mark asked guitarist Frank Schiphorst (Symmetry, Christmas Metal Symphony) to join in. Frank has a broad range of experience and skills aboard. When put together with Mark and Jack, an undeniable chemistry takes place producing songs in no time. Evolving from a project to a real band, MaYaN needed the perfect musicians to work this out with, and as a logical result Epica drummer Ariën van Weesenbeek and guitarist Isaac Delahaye joined in. Soon also guest vocalists Henning Basse (currently Firewind), Laura Macrì, Simone Simons (Epica) and Floor Jansen (currently Nightwish) were a fact. Not much later, they were followed by bassist Rob van der Loo (ex-Delain). 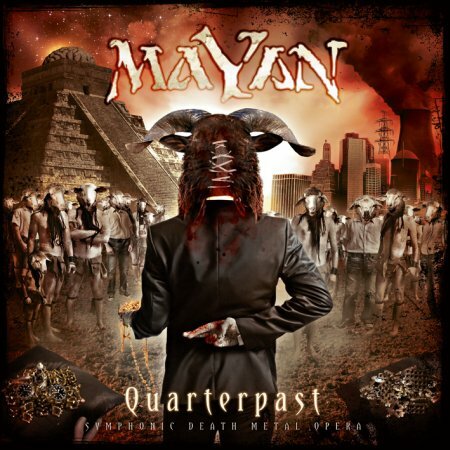 With their first release ‘Quarterpast’ (2011) through Nuclear Blast, MaYaN received instant recognition in the media as proven by the excellent reviews, in-depth interviews with many provoking questions about the band‘s point of view and raving reactions of fans throughout the world. After very successful tours through parts of Europe, Central and South America plus playing renowned festivals like ProgPower USA, Graspop Open Air, Heaven & Hell (Mx), Zwarte Cross and PPM Fest for thousands of fans, the band put themselves on the map instantly. Hundreds of thousands of views and confronting discussions from all over the world on their video ‘War on Terror’ prove they set the world to think about and hopefully act upon what is going on nowadays. Laura and Henning joined the MaYaN Tribe as permanent members in 2013. That same year, Isaac was followed up by the talented female guitarist Merel Bechtold (currently Delain). 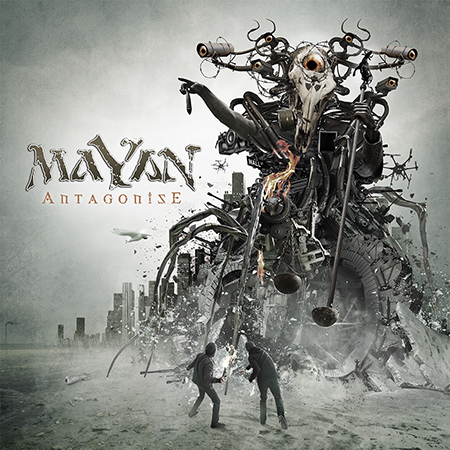 In 2014 MaYaN released their second full length album ‘Antagonise’ through Nuclear Blast. On this album MaYaN introduced two great guest musicians: Vocalist Marcela Bovio (Stream of Passion), giving extra depth by adding choir layers and vocal lines, and Greek violin virtuoso Dimitris Katsoulis. The ‘Antagonise’ concept is about the current state of the world in which spying is more present than ever before. Our privacy has been taken away step by step. Some people say “We have nothing to hide so I don’t care”, but after all we all have our secrets, not just the criminals. Under the flag of ‘war against terrorism’ governments – and above all the big corporations – all over the world have found a handy way to control their people and get things done without much resistance. They are spreading fear in order to have more power, make more money and stay in total control. It’s hard to find good documentaries about this subject on TV as a little part of the media is truly independent. But if you really search for the truth, you’ll get the truth. Songs like ‘Faceless Spies’ and ‘Paladins of Deceit’ (National Security Extremism part 1 & 2) are perfect examples of these subjects being presented on ‘Antagonise’. ‘Antagonise’ was the first MaYaN album to enter the official Dutch and Belgian album charts. It received raving reviews and has been recognized as album of the month in leading Dutch metal magazine Aardschok and album of the week in Revolver Magazine. In the meantime Rob joined Epica, after which he was followed up by the talented 6-string fretless bass player Roel Käller (Skullsuit). With ‘Antagonise’ MaYaN played successful shows on festivals like PPM Fest, FemME: Female Metal Event (as headliner), Dutch renowned Dokk’em Open Air, Epica’s Epic Metal Fest, Metal Female Voices Festival and Graspop Metal Meeting. Because MaYaN has always had a profound love for epic movie scores, the next step was to record a new album with a live symphonic orchestra. To make this happen, an IndieGoGo crowdfunding campaign was started early 2018 to release MaYaN’s 3rd album called ‘Dhyana’ with a real orchestra. The ‘Dhyana’ concept reflects on conceptual themes such as remaining aware of our thoughts, removing egoic tendencies, and finding out who we truly are. ‘Dhyana’ is the moment when the individual mind is absorbed by the heart and melts with the universal mind. The crowdfunding campaign also included the availability of a new and exclusive EP called ‘Undercurrent’. Receiving tremendous support from the fans, the campaign ended successfully, raising more than €40,000 which covered all costs involved. The City of Prague Philharmonic Orchestra was chosen to partner with in recording ‘Dhyana’. This world-renowned symphonic orchestra was founded over 60 years ago and is one of the most respected and recorded orchestras. They are most notably known for their work in cinematic features such as the Star Wars saga, Hannibal (2001), and Arrival (2016). They are also known for recording the orchestral parts of Dimmu Borgir’s album ‘Death Cult Armageddon’. The orchestra recordings have taken place June 2018, and both MaYaN’s 3rd album ‘Dhyana’ and EP ‘Undercurrent’ will be released September 2018! Having mostly touring musicians in the band, MaYaN needs to rotate sometimes with musicians to be able to continue doing live shows and deliver the highest quality on stage. So another new member was added to strengthen the Tribe even more: renowned grunter George Oosthoek (Orphanage)! Next to that, backup guitarists for Merel have been found in Arjan Rijnen (ReVamp) and Jord Otto (Vuur, My Propane), who both have proven their great presence at several live shows with MaYaN. Los Angeles based vocalist Adam Denlinger takes care of all clean male vocals, since Henning stepped back from being a band member due to obligations to his band Firewind. Henning is now hired as a ‘special guest’ every now and then. Adam made his impressive live debut with MaYaN in a full Metal Dome at Graspop Metal Meeting 2017. Marcela already got to be a part of the family with her joining MaYaN on most live shows through the last years, so she joined as a fully contributing member as well. MaYaN nowadays is seen as a multi functional metal dream team featuring the best possible musicians, not to be held back!